This book was required reading for a class I took on the Gulf War.It has a lot of good information written in an easy to understand format.It begins with a brief history of the U.S. military since Vietnam and explains the evolution in training, equipment, and doctrine since Vietnam. 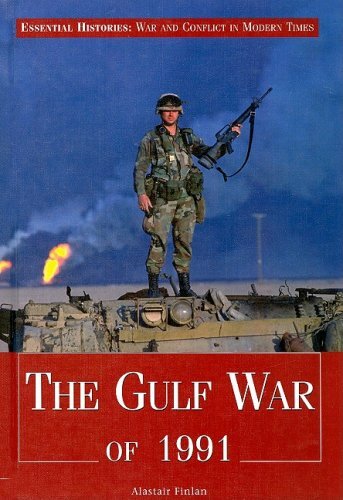 The book also keeps you entertained with accounts of different battles at the begining of each chapter.This is a good book for those interested in getting a history of the Gulf War from the perspective of the US Army. 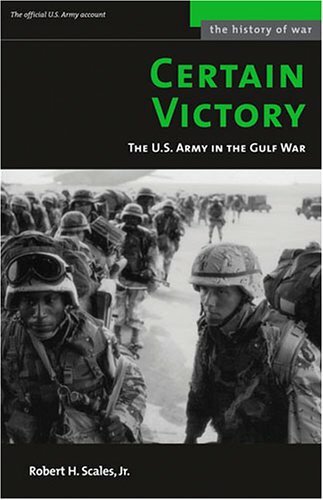 Certain Victory, The Offical US Account of the the first gulf war, is a long treatise on the support and command and control efforts that went into the war, sprinkled with details of the combat operations. The book, written by Brigadier General Robert H. Scales and his staff is a poorly written, but well intentioned, attempt to convey the meaning of the work and planning that went into the war. Robert H. Scales planning and staff details are interesting, if not informative, however given the immense amount of history crammed into the first few chapters, this book does have some value to those interested in one mans perspective on the evolution of the modern army. If Robert Scales other books are anything like this one I would only recommend them to someone who is not looking for a good read but mearly searching for a book on a military reading list to tire through, this book could have been written in about a hundred and fifty pages, it is filled with drab and unexciting language. For anyone looking for an unbiased and factual history of the first Persian Gulf War I would recommend they skip this staff propaganda and instead read Rick Atkinson's Crusade, The Untold Story of the Persian Gulf War . By contrast it is a thoughtful and accurate account written by a distinguished author, unbiased by the reaction of others to his work. Not only is this book more accurate and insightful, it is also fun to read. Scales' book holds very true to it's title: The U.S. Army in the Gulf War.The contributions of other services are analyzed (and criticized) only in relation to their support of the US Army.I think anyone studying the Gulf War should read this book, but should also supplement it with other works. Understanding the US invasion of Iraq in 2003 requires awareness of the war the US and others fought to eject Iraq from Kuwait in 1991. This collection of articles written during the crisis and the war itself is certainly helpful, even for those who remember the war well. Included are speeches and statements by George Bush and Saddam Hussein; articles by well-known pundits and foreign-policy specialists (Henry Kissinger, Bernard Lewis, Edward Said, Rashid Khalidi, Noam Chomsky, Anthony Cordesman) as well as by people less noted for foreign-policy analysis (Ariel Dorfman, Barbara Ehrenreich, et al.). One inevitably learns much from the anthology. I would particularly recommend Joe Conason's essay on US and western business ties with Iraq before the war; Murray Waas's piece on the US "tilt" toward Iraq during its war against Iran in the 1980s; and Rep. Stephen Solarz's argument for war. All three of those pieces make their case very compellingly. My main complaints are: 1) an excess of articles by columnists and others with little expertise, often with rather weak, unoriginal, rambling, or uninsightful things to say; 2) an excess of American commentators (the anthology includes several very useful pieces by Arab and Muslim writers, but there are still far more Americans in the anthology, and very few Europeans or others); 3) a clear preference for anti-war and left-wing voices. Although the book's cover advertises it as an anthology of diverse viewpoints, the reality is that the left-leaning editors could not resist packing the book full of anti-war viewpoints, which far outnumber anything else. It is interesting, however, to read the many contemporary predictions that proved mistaken. All in all, the book is well worth reading, but a better anthology could easily have been assembled. The Gulf War Reader is a good place to start for anyone unfamiliar with the conflict.You'll get a basic overview of the issues surrounding the war from a variety of ideological dispositions.The book does seem tilted towards more liberal interpretations of the war, but the bias of each contributor is on the whole easy to determine. 'Our Equipment Worked, Theirs Blew Up-Why Were We Surprised? This is one of the two best books I have read on the Gulf War, the other being the excellent Crusade by Rick Atkinson. This is a thorough history of the war, and much of it is oral history.The list of participants in the back of the volume is quite impressive and gives credence to the author's points of view.Well-documented and thorough, this book is highly recommended and is a definitive history of the war. 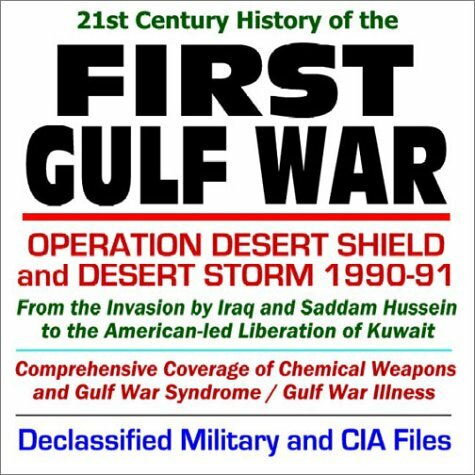 The author covers all aspects of the conflict: the invasion of Kuwait by the Iraqis, the American/allied response, the air war, the ground fighting prior to the invasion, and the invasion itself, covering the US Army, Marine Corps, and the allied forces (British and French) as well as the Arab participation. This volume is detailed, the prose is crisp and straight-forward, and the author dispels some of the myths of the war.The Iraqi losses, especially in the Republican Guard units, were actually heavier than thought previously, and the Iraqi Army was mortally hurt in Kuwait and southern Iraq.Full credit is given the 24th Infantry Division and the elements of the American VII Corps (including the 2d Armored Cavalry Regiment, whose commander, Col L.D. Holder, was one of my instructors at West Point) in the decisive tank and armor battles with the Iraqi Republican Guard units, the Americans always winning, and the destruction and rout of the Iraqis the ultimate result. The author has done a masterful job with this volume and has communicated to his readers the complexity of modern warfare as well as its human side.The title for this review was borrowed from one of the chapters in the book, and not only is this subject covered in the text, but also the problem of the Gulf War Syndrome and the possible causes for the illness. In all, the disc has over 40,000 pages reproduced using Adobe Acrobat PDF software - allowing direct viewing on Windows and Apple Macintosh systems. Reader software is included on the CD. A convincing argument for what went right in the air war. This book is well written, and enjoyable to read. It presents a convincing, if not complete argument for the Air Force. The work of the Air Force is well detailed and the author presents a huge amount ofinformation about tactics that are not commonly known. All of this in alanguage that anyone can understand. 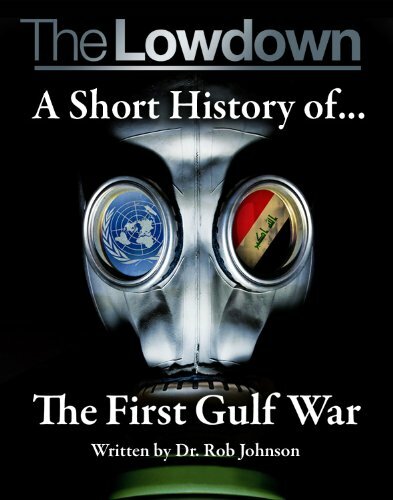 Even so, one can not help but feelthat the book is presenting the Gulf War as the first war won by air poweralone. A strong read, if you accept the prejudices, and realize that theland forces, and sea forces, and special forces also have a legitimateclaim to the Gulf War victory. Richard Hallion has produced a book which provides one of the best overviews available on the evolution of US air power and strategy in general, and in the 1990-91 Gulf war in particular. Previous reviewers'comments on the rather sterile text that Hallion uses are not withouttruth, although I didn't find this a particularly important shortcoming ofthe book. One of the book's key strengths is that it places the 1990-91Gulf war into a detailed, well-explained context. He fully describes how USair power and military strategy reached the position it was in in 1990, andhow this affected the ability of the US to fight the Gulf war. The mainshortcoming of the book - and this is a serious problem, in my view - iswhen Hallion tries to talk about Middle East politics and the arguments forand against Operation Desert Shield and Desert Storm. These issues areperipheral to the subject of his book, and he displays a serious lack ofknowledge about them (or an unwillingness to discuss and acknowledge them).Hallion talks about matters such as Iraqi aggression, its WMD program, itsrelations with its neighbourspre-August 1990, and the like, in simplisticterms. If he really thought that these subjects needed mention, he shouldhave included some discussion of Iraq's claims against Kuwait, of Iraq'sdomestic political situation in the period 1988-1990 and how this may haveinfluenced Saddam's decision to invade Kuwait, and of allied objectives inthe region (ie: political economy factors other than oil - the US's desireto see and protect free markets, the UK's need to protect Kuwaitiinvestments in the UK lest the Pound plummet if Iraq 'cashed in' Kuwaitiassets abroad etc). Worst of all, he seems to have fallen for the'Sadddam as another Hitler' theory. If he wanted to look at the politicalphychology of Saddam, mention should also have been made of the 'Saddam asanother Bismark', or 'Saddam as another Napoleon' or 'Saddam caught in apower vacuum' theories as well - these are all important explanationsbehind Saddam's political behaviour. Mr Hallion, stick to the subject ofair power, strategy, theory, and history - for which you have an flair andknowledge. Having said all of this, it is the role of a book reviewer tobe critical of the work he or she is reviewing. 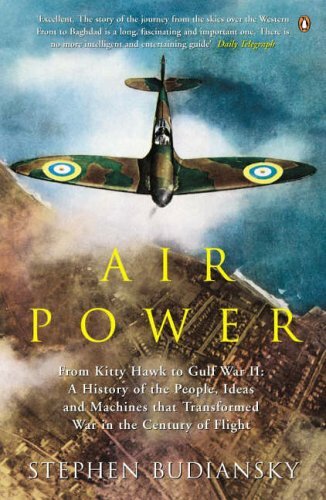 Overall, this book isexcellent, and highly recommended for readers looking for an introductionto the history, strategy, and tactics of air power. Richard Hallion's work isn't a blow-by-blow account of the events of Desert Shield/Desert Storm.Rather, its a very well-documented study of the changes in U.S. military and political thinking since World War One with a particular focus on the period following the Vietnam War.The author chronicles the changes in leadership and policy as the veterans of Vietnam were promoted up through the ranks into command positions, how they changed the way the military is utilized in political crisis, and the decisions which affect military weapons procurement.For example, the workhorse of the Vietnam air campaign was the F4 Phantom II, a supersonic missile platform that wasn't particularly maneuverable, that was developed by the US Navy and thrust upon the US Air Force by a budget-conscious Robert McNamara, head of the Department of Defense at the time.The Phantom became the darling of the services over the skies of North Vietnam, succeeding in just about every role assigned to it.Buoyed by this success, McNamara tried to apply the converse theory - take a land-based US Air Force aircraft and apply it to the Navy - which resulted in the failure of the F-111A.It was this failure which prompted the Navy to develop its own jet fighter - the F-14 Tomcat.This touched off a long line of fighter aircraft which controlled the skies of Kuwait and Iraq some 20 years after their introduction into the US military: the F-15 Eagle, the F-16 Falcon, and the F-117 stealth strike fighter.The F-117, by its deployment in a single battle, managed to render 50 years of Soviet military technology development obsolete.It may have indirectly contributed to the fall of the Soviet regime.Until I read Mr. Hallion's book, I was not aware of the facts surrounding the development of these fine fighters.I think the reader will be just as much surprised and educated by the events described in the book as I was. Although originally published in 1992, the concepts described in this book are still very much current as we watch arguments unfold around the F-22 stealth air superiority fighter.Questions concerning the need for a new military aircraft and the expense of a single unit when more units of a lesser quality weapon could be purchased for the same money are reminiscent of the arguments which arose during the development of the F-14 at the end of the Phantom's career.Mr. Hallion's book lays the groundwork for readers to develop their own opinions concerning military spending - he avoids the trap of forcing his own opinions upon the reader - and he documents his sources liberally throughout the text.I found it necessary to keep two bookmarks: one for the main text and the second for the notes at the end of the book. Accompanying the text are a series of brief essays which discuss particular elements of modern combat theory, such as air power, battlefield, and missile technologies.I truly enjoyed reading them following the education I received from the main text of the book.There is also a brief photo section which illustrates several points of the book, including radar screenshots of Iraqi troops fleeing from Kuwait along the Highway of Death, recon photos, the weapons used in the conflict, and the leaders of the forces involved in the fighting. 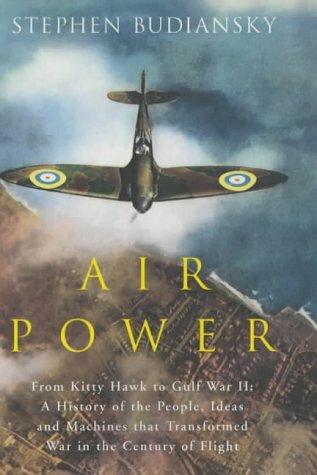 This is not a book to take on a trip to the beach and would probably not appeal to those seeking tales of aviation adventure.Rather, this is a book for enthusiasts and students of air power, strategy, history, and military technology.For this audience, this is an indispensable resource. I found the book easy enough to read and not as dry as most other books on this subject area tend to be.Overall, a good read and a good education. U.S. News & World Report was founded in 1933, and has built a reputation for their thorough and evenhanded reporting. 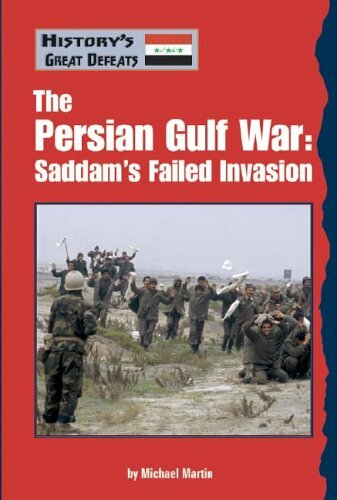 This book was compiled by the magazine's staff, drawing on their many resources, and is probably the most thorough treatment of the 1990-91 Persian Gulf War that you are likely to find. The book traces the conflict from Iraqi invasion of Kuwait, through the diplomatic maneuvering between Iraq and the United States, and on to the final Iraqi surrender. 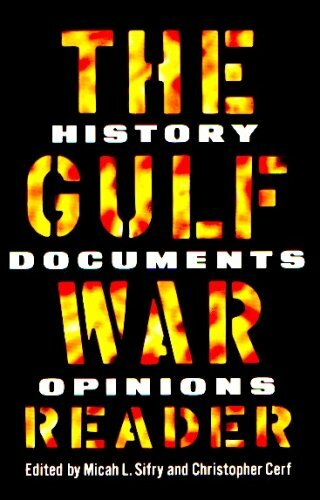 I must say that I found this to be an excellent book on the Gulf War. The writers of the book go a long way towards being fair and evenhanded, reporting on Iraq's sponsorship of "some of the world's most deadly terrorist organizations..." and yet discussing America actions, including the attack on the "highway of death." Plus, I found the detailed information on the individual battles of the war made the war come alive in the reading. Overall, I have not read another book on the Gulf War that comes close to this book for overall detail and readability. This is my favorite book on that war, and I give it my highest recommendations! Having read several of the many books about the Gulf War, I have discovered that all of them contain (as you would expect) elements that are biased by the author's viewpoint. This book is no exception, exhibiting the bias of the reporter's perspective that the military/politicians un-necessarily restricted access by the public (ie the press corp). However, by a lot hard work in utilizing the extensive resources widely available after the conflict, it does overcome this bias and thereby provide the broadest and most complete overall description of the origins, political manuervering, military planning, and actual execution of the initial defensive and subsequent offensive phases of the war, of any account I have read. And it does so in a very interesting and informative manner. I am especially impressed with the personalized style of the presentation of both the political and military events, and also with the excellent graphics and tactical/strategic analysis used to explain the overall context of those events. The combination of broad scope, professional graphics, and personal accounts of individual participants placed in the context of overall tactics/strategy really brings the "history to life". This book has become my "baseline" for understanding / interpreting the other very good (and not so good) accounts of the war. It provides the timeline and outsider "truthline" of the events of the war from which to put into perspective, and base my own opinions of, the accounts of the war by the various individuals with a more personal stake in their presentation. I do not take the "facts" presented in this book as "absolute", but feel they probably contain less "self interest" than other accounts by other authors with "reputations" to foster or protect. In that respect, this book has increased my "enjoyment" of the other books on the subject as I compare and contrast the "issues" of the war as described by each of the involved individuals who have a particular axe to grind concerning those issues: "a tactical versus a strategic air war campaign", "functional versus by service organization of the coalition forces", "who was responsible for establishing the 'left hook' strategy of the ground war", "did we start the ground war too soon and not give airpower a chance to 'win the war'", "was the progress of the VII Corps too slow ? ", "was the progress of the 1st and 2nd Marine Divisions too fast ? ","who stopped the Khafji excursion (airpower, marines, or Saudis)", "did we learn and then utilize the right lessons from the Khafji fight", and - last but most importantly - the key question: "did we stop the war too soon and therefore fail toaccomplish the goals established at the outset of the war ?" 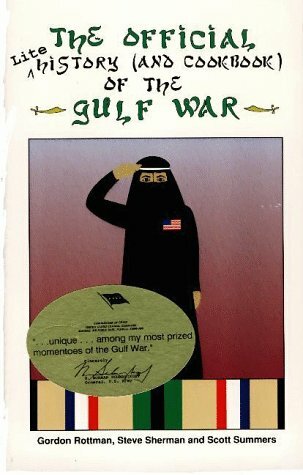 The single, best, broad spectrum account of the Gulf War. 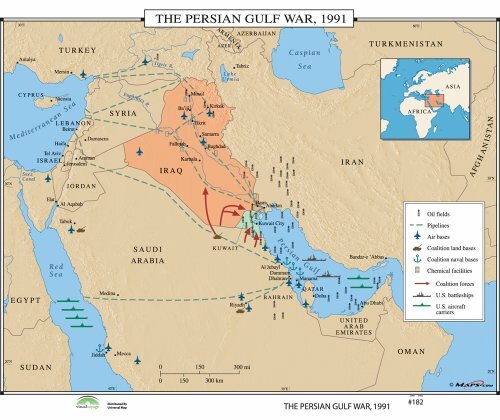 The Persian Gulf War, 1991 identifies oil fields, pipelines, air bases, Coalition land bases, Coalition naval bases, chemical facilities, movement lines for coalition forces, U.S. battleships, and U.S. aircraft carriers. These United States History maps, now available from Universal Map, are a valuable visual aid in understanding American History. All maps in this series are markable with a dry erase or water-soluble marker. Durably laminated maps measure 46 x 32 or 36 x 48. Mounted on roller with backboard. Meets U.S. History curriculum requirements.These maps are a new special order item. Please allow 2-4 weeks for delivery on multiple wall map custom sets.